Lots of exciting things are going on with our Maggie Bag operation! PLEASE HELP US GET THE WORD OUT ABOUT OUR WEBSITE. LIKE OUR FACEBOOK PAGE AND INVITE YOUR FRIENDS TO LIKE IT TOO! Don’t know about our Maggie Bag operation?? It’s a sustainability initiative of Stability First that launched in the spring of 2018. Women living in our Magdalene House shelter assist a dedicated team of community volunteers in the production of Maggie Bags at the adjoining Lynay Center. The women learn sewing skills, help with quality control, learn responsibility and experience the satisfaction of a job well done. Please consider “Liking” our Facebook page and let others know about this wonderful project and product. 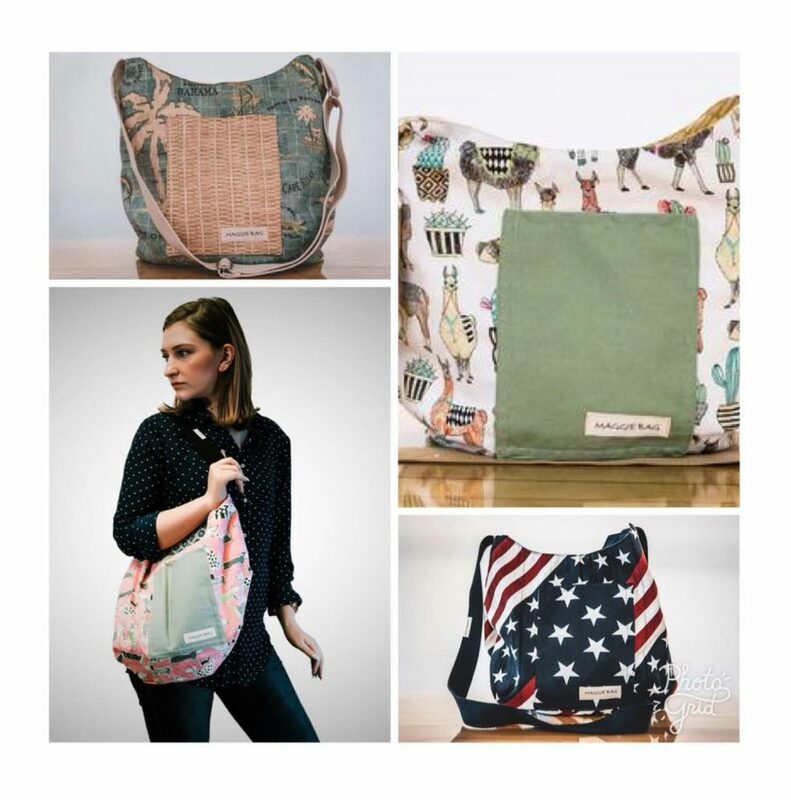 Maggie Bags are a line of women’s cross-body and shoulder “hobo-style” bags. These fashionable light weight canvas and decorator fabric bags are completely reversible and great for summer outings, casual wear or sporting events, and are even sturdy enough to carry books or craft supplies, if desired. They are great MAGDALENE HOUSE bag that supports an even greater mission! We are also planning on further improving our product line with the introduction of a swivel hardware fixture which will allow the adjustable strap hardware to always be positioned facing outward for your comfort. Further, we are planning on introduction a Mother/Daughter version as well as a smaller version of our original design with a pocket closure. ARE YOU INVOLVED WITH A COMMUNITY GROUP THAT MIGHT ENJOY A TOUR OF OUR MAGGIE BAG PRODUCTION FACILITY? ?